Cost: FREE but all attendees must have a Winter Carnival button. Buttons can be purchased at the door. The Tread of Pioneers Museum and the Steamboat Springs Winter Sports Club are partnering to host “The History of Skiing in Colorado” with esteemed professor of History, Duane Vandenbusche, on Wednesday, Feb. 6 at 7pm in Olympian Hall. 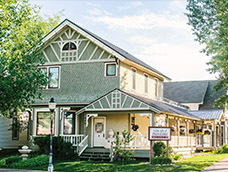 Vandenbusche, who is known widely as an engaging and passionate speaker, is the author of 11 books on Western Colorado, and has been a professor of History at Western Colorado University in Gunnison since 1962. His talk and slide presentation will cover the fascinating history of skiing in the state of Colorado from the earliest days in the 1870s to modern times. The talk will immediately follow the opening ceremonies of Winter Carnival that evening, and though the talk is free, a Winter Carnival button is required. •	The 1870s and mining days when the only way to travel in winter was on skis, 9-14’ long with a simple leather toe strap. •	Tour races that were held when the mining camps boomed in the 1880s. •	Norwegian ski jumping champion Carl Howelsen, who came to the Steamboat Springs in 1913, built the first ski jumps, and helped organize the Winter Carnival, the Steamboat Springs Winter Sports Club, the sport of ski jumping in the town, and helped establish Colorado’s oldest operating ski area, Howelsen Hill. 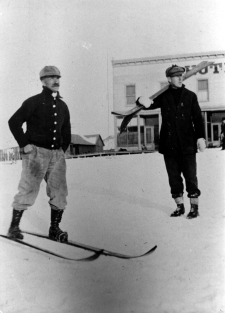 •	Early day skiers who hiked up mountains to ski them, and the first rope tows used in the state. •	The role of World War II, and the impact of the 10th Mountain Ski Division headquartered at Camp Hale just off Tennessee Pass. •	The founding and development of the I-70 ski areas and other ski areas around the state. •	And the evolution of the current billion dollar industry in Colorado. Come to Howelsen Hill on Feb. 6 for opening ceremonies, the oldest continually operating ski area in North America. The historic ski lodge is the perfect venue to kick off the 106th Winter Carnival and celebrate Colorado’s fascinating ski history.